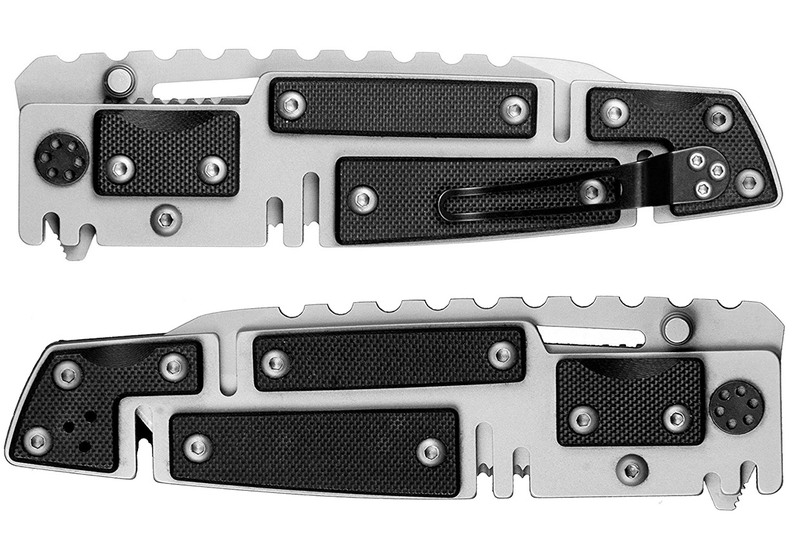 A phenomenally designed folding knife from Mantis Knives. This hefty 9″ long tool features a 4″ tanto-style blade made from S30V steel, and handles made from titanium with G-10 scales for grip. Weighs a whopping 1/2 pound, so this thing means business.